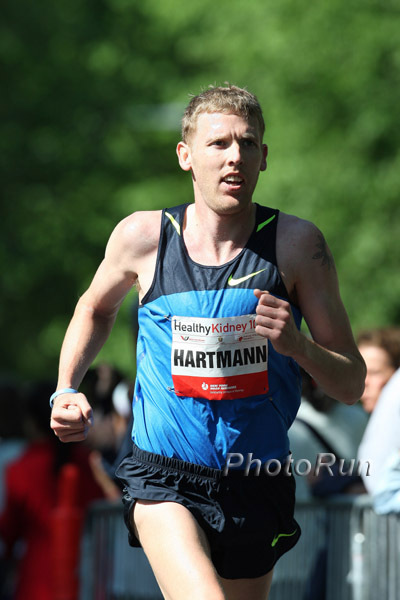 "I don't like looking at the line-up because that amounts to focusing on other runners instead of the event. It could put pressure on oneself and I believe that is not good for competition." 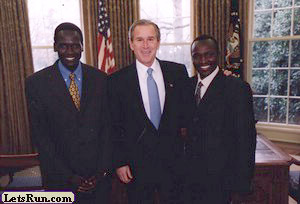 - Sammy Wanjiru, who apparently didn't know who he'd be racing in Chicago a day before making his first visit to the USA. He'll run the Bank Of America Chicago Marathon on Sunday and he thinks the winning time will be 2:04 or 2:05. Sammy Wanjiru Coming To America For The First Time, Says He Doesn't Even Know Who Is In The Race Wanjiru was scheduled to arrive yesterday in Chicago. Recommended Read: Kyle And Drew Shackleton Run For "Team Fox," Their Grandfather, And Themselves At Chicago On Sunday We found this press release very inspirational and it will make us a lot more interested in seeing who gets under 2:20. The twin brothers are going for sub-2:20 and if they get it are going to donate all the winnings to help fight Parkinson's. 5 New Additions To Oregon Track Club Announced Texas Tech Legend Sally Kipyego, Dartmouth's Ben True, steeplechaser Jake Morse, 800m NCAA champ Tyler Mulder, and NCAA 800m champ Geena Gall. Looks like Nike OTC did a great job gathering the top talent. First And Second Place Runners In Lakefront Marathon Disqualified For Different Infractions The first place runner took water from a friend on the course and the second place runner pulled out her iPod for the final miles to pump her up. If the rules aren't enforced, there is no sense in having them, but being DQed from a marathon really stinks. 81-Year-Old Man Gets Miracle Spare Catheter, Allowing Him To Finish Twin Cities! You've got to read this story. Who knew there were so many spare catheters around? Walmart Announces Sponsorship Of Bentonville Half Marathon Walmart gives back to the community. 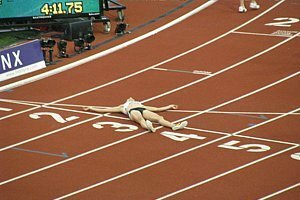 Spain Tries To Sneak Onyia Through After 2 Drug Positives, But IAAF Bans Her For 2 Years That's right, hurdler Josephine Onyia failed two separate drug tests for different substances (one was clenbuterol) and Spain pardoned her each time. The IAAF again had to step in and reverse the decision. 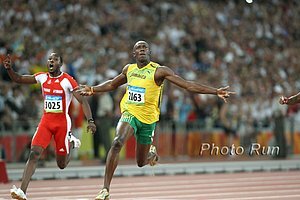 Sign Of The Times: Usain Bolt Seen As Second Most Influential Male In The World In Huge Male Vote It must say something about Employee #1's manhood that he doesn't even know who the #1 guy is. Of course he had never heard of "askmen.com" either. Sad News Again: Two Deaths Occurred At San Jose Rock n Roll Half A 34-year-old and a 35-year-old both died in what was described as ideal running weather.